How to configure the XP-SNET controller using RS485/ RS232 connection? 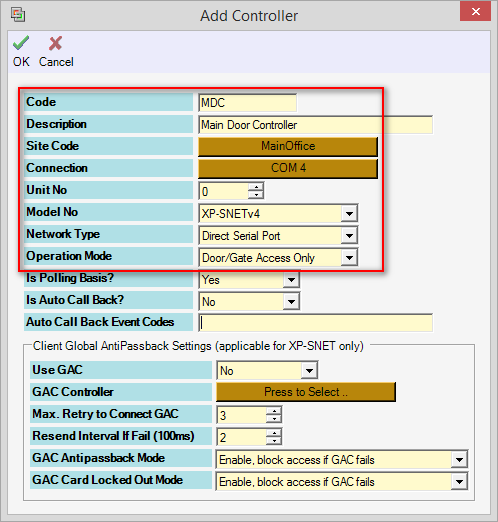 This article contains steps to setup the connection for XP-SNET controller using RS485/ RS232. The communication shall up between the controller and the xPortal software after completed the setup. › No communication between controller and software. › Controller status showing "Down" from the Device List at the xPortal software. › No transaction shown at the software. › Wiring connection from the controller to the PC is incorrect. › RS485 cable is not working properly. › Incorrect connection setting was configured. › Incorrect controller’s Unit No was set in the software. › Block by Windows Firewall. › Make sure the wiring connection from the controller to the PC is correct. › Make sure the System Address set in the controller is correctly configured and unique. › Make sure the RS485 cable is working properly. › Make sure the MCI is connected to a power supply with 12Vdc, 3A and is working properly. › Turn off the firewall to allow the communication between software and controller. 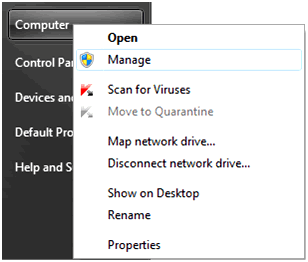 › Make sure the MCI is detected from the device manager. › Make sure the software configuration set in the software server is correct. › Ensure the connection from the controller to the PC is correct. See AA-00334 to check your wiring connection. Make sure the MCI is connected to a power supply with 12Vdc, 3A and is working properly. 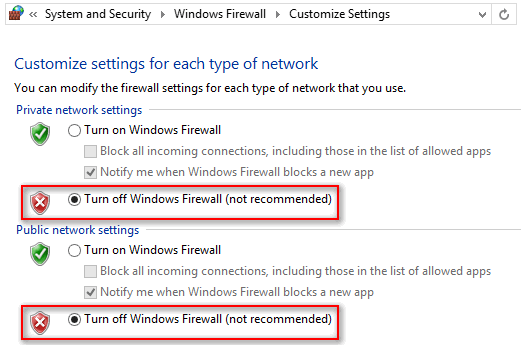 Go to Control Panel › System and Security › Windows Firewall › Turn Windows Firewall on or off. 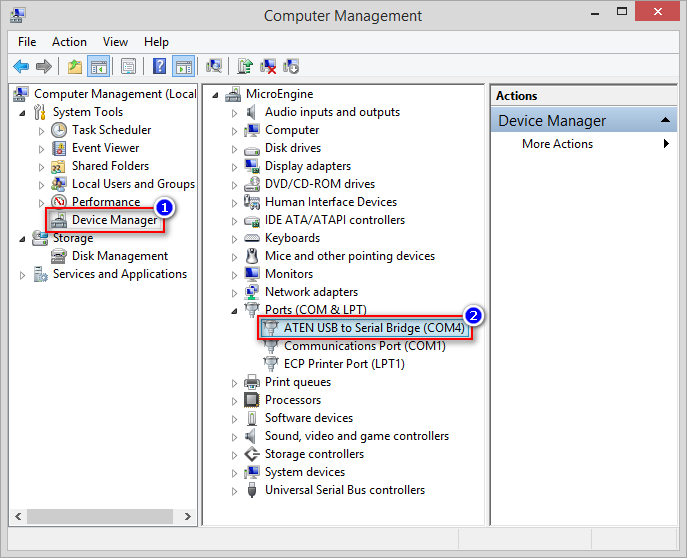 › Ensure that the Comm Port No where the MCI is connected is available and shown in the PC’s Device Manager. Run Windows Device Manager. Right-click at My Computer › Select "Manage". Computer Management Window will pop out. Select "Device Manager" › Select "Ports (COM & LPT)". › Make sure the software configuration set in software server is correct. Login to xPortal Server and configure server setup accordingly. 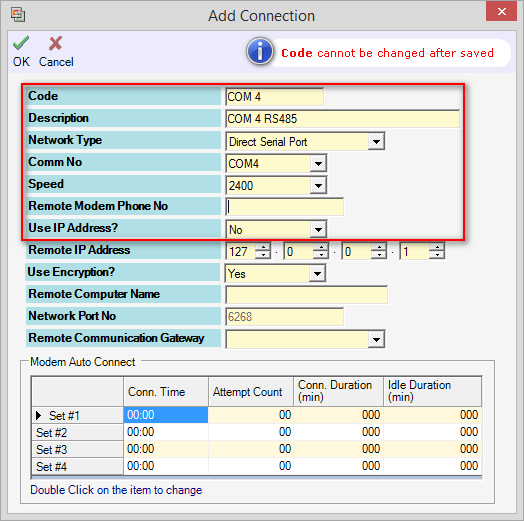 Make sure the Comm No selected is similar to the MCI COM No connected. » See AA-00449 to set the Speed/ Baud Rate Setting. Make sure the Connection, Unit No, Model No and the Network Type is correct. 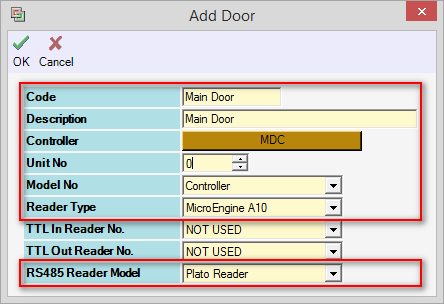 See AA-00332 to configure the Unit No for controller. Make sure the Network Type selected is Direct Serial Port. Make sure the Unit No is correctly selected. See AA-00332 to learn how to set the Unit No for reader. Summary: This article contains steps to setup the connection for XP-SNET controller using RS485/ RS232. 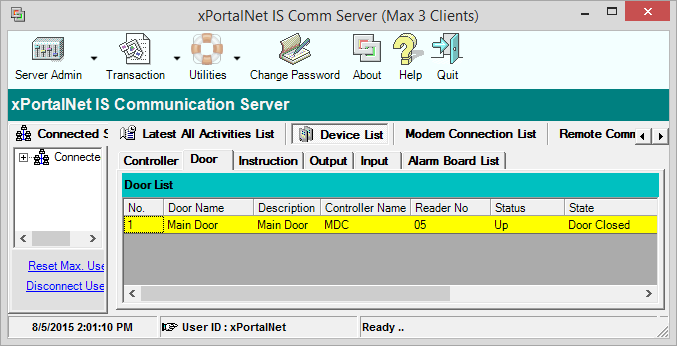 The communication shall up between the controller and the xPortal software after completed the setup.